My daughter has always been a flower gardener, but this year she branched out into fruits and vegetables. A few days ago, she brought me one perfect tomato, and I used it to cover several Photo 101 lessons: color contrast, closeup, and cropping. As I look at it now, I see a few things I could do to improve the picture, but this was my best effort at the time. 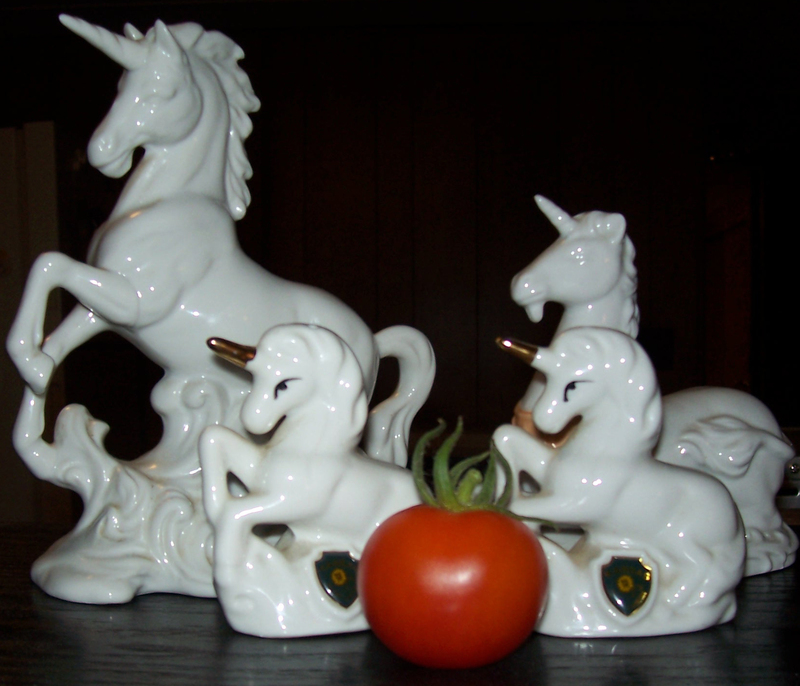 This entry was posted in Photograph 101 and tagged closeup, contrast, cropping, photo101, seasoned aspirer, tomato, Unicorns. Bookmark the permalink. What kind of tomato did she plant? That is perfectly beautiful. I want to EAT it! I did eat it immediately after the photo shoot. I’m not sure what kind of tomato it is, but the ones so far have been about the size of a golf ball.